These hot Melbourne nights call for quick and easy meals. As the temperatures soar, it’s hard to be inspired in the kitchen. A dinner that can be prepared in the morning is always popular and this dish ticks all the boxes. This simple meal certainly delivers on flavour! A great cold dinner that took only about 15 mins of prep work in the kitchen. Also, for those of you with fussy kids that like their food plain, steaming the tenderloins with a few vegetables like this is a perfect dinner. You can pour a little soy sauce on top for flavour. The rice and chicken in this dish is served cold with the hot sauce on top. Prepare the chicken and rice early and refridgerate. Prepare the sauce just prior to serving. Ten minutes before ready to serve make the sauce to pour on top of the chicken. I cook this sauce in a frypan or wok as you really need the high temperature from the hotplate. Fill TM bowl with 900ml of water, insert steaming basket and weigh in rice. Place chicken tenderloins into Varoma tray and put in place. Check to ensure the chicken is cooked through. Empty TM bowl and place chicken tenderloins inside. Shred chicken for about 10 sec/Reverse/Speed 4. Place on top of rice and cover bowl. Refridgerate several hours. 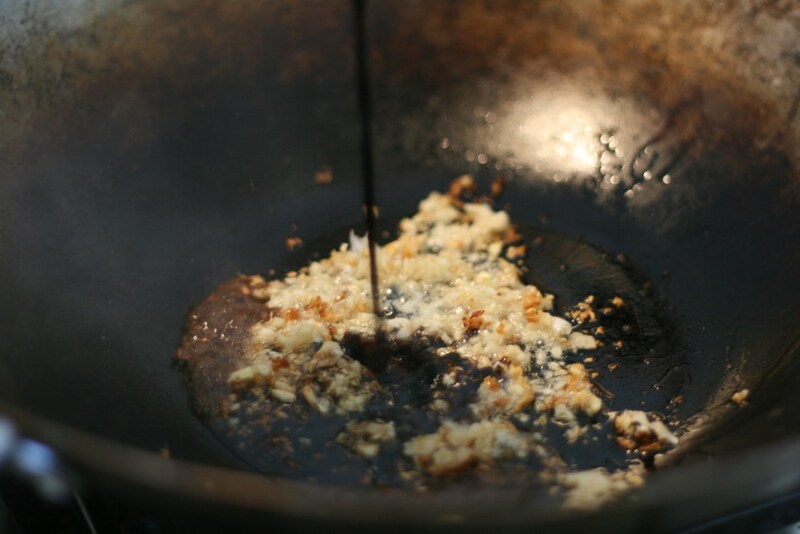 Pour 2 tbsp of oil into a wok and heat on a high heat.. 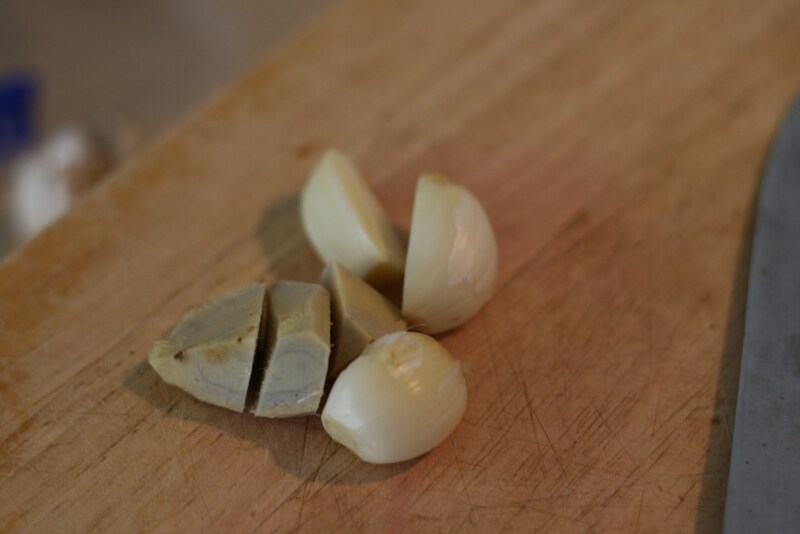 Meanwhile, place garlic and ginger into TM bowl and chop 5sec/Sp 7. 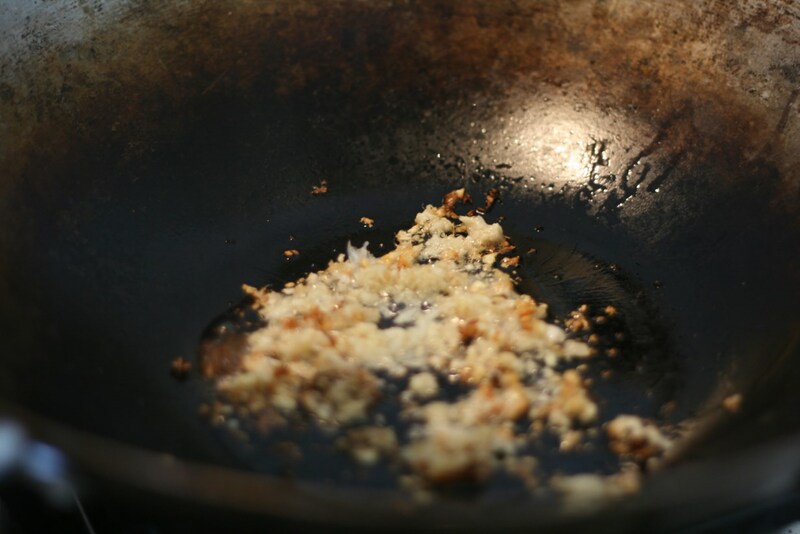 When the oil is almost smoking, add the ginger and garlic to the wok and let it sizzle until golden brown. When it reaches that point, pour in soy sauce and then pour immediately onto cold chicken. Top with fresh coriander and spring onions. 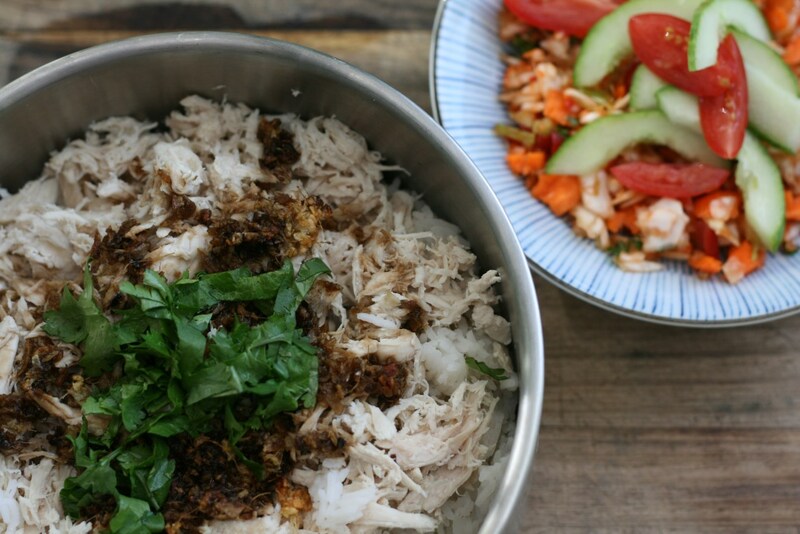 Don't wash the bowl out, just place some capsicum, cabbage, carrot and coriander into TM with some Asian dressings; sesame oil, lime juice, fish sauce and white vinegar and chop speed 4 until desired consistency. P.S. I often cook a little more chicken and keep it for lunches. Another post for what to do with that! Salvo Property Group proudly presents Apartment 0806, one of prestigious and luxurious Bank Apartments in Southbank, Victoria. For more details, see video here: Real Estate.